Eighteen – A world-class lifestyle destination, has redefined the standards of luxury living in Pakistan. A gateway to a better life, Eighteen has garnered a noticeable presence in the country in just over a year. True to its ritual, the luxury residence project once again impressed the local visitors and competitors with its, one-off, mega project at the Graana Expo which was held in Islamabad on the 13th and 14th April 2019 at the Pak-China Centre. As the Titanium sponsor, Eighteen showcased its premium product to the visitors, real estate agents, investors, and competitors and received an overwhelmingly positive response. 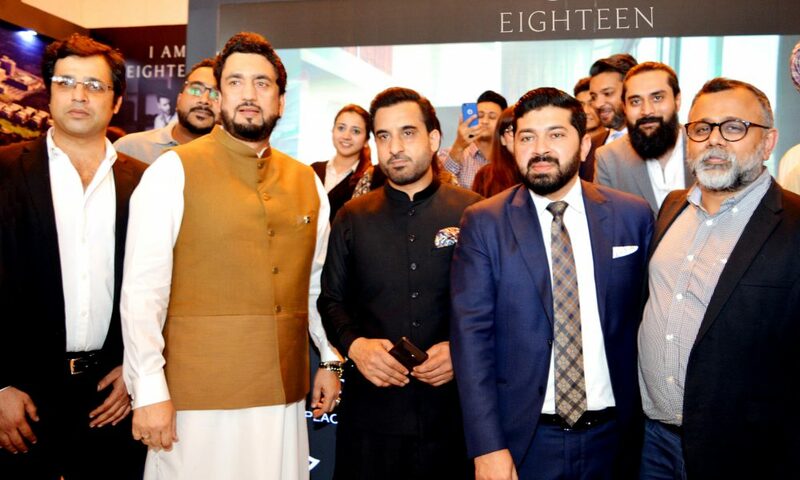 With an upbeat reception from buyers and investors across Pakistan, Eighteen exhibited its US $2 billion projects at the event. It showcased the complete product line, including luxurious villas set around an eighteen hole golf course, luxurious apartment complexes, a retail hub, a business complex and an overall insight on the master plan of the project. With a focus on spacious modern living, the property expo aimed to transform the landscape of the country’s real estate sector. As a platform for exhibitors to meet potential investors, the expo provided a number of business-minded individuals the opportunity to interact and highlight their own projects and developments. Eighteen is an exclusive joint real estate venture of Egypt-based Ora Developers, and Saif Group and Kohistan Builders (KBD) of Pakistan. Located hardly 10 minutes from the New Islamabad International Airport, the grand project occupies a focal place in the twin cities. With the aim to connect sophistication with convenience, Eighteen turns your dream of a lavish lifestyle into reality.